UNKNOWN STUDIOS based out of OREM, UTAH. Owned by RANCID drummer BRANDEN STEINECKERT (former drummer/founder of THE USED) who is Producing bands and working with new artists. Check out featured music produced by Branden at UNKNOWN STUDIOS…. “Believe” was written and recorded by Branden Steineckert at UNKNOWN STUDIOS in early 2012. 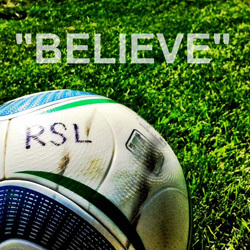 Branden wrote this as the official anthem of Utah based Major League Soccer team REAL SALT LAKE. Branden also produced a video for the song with friend Isaac Halasima which had over 26,000 views in less than 5 days on youtube. Branden will personally listen to EVERY demo submitted and although he may not respond to every message he will make every attempt possible to read them. ACCEPTING DEMOS FROM ALL ARTISTS OF ALL GENRES.